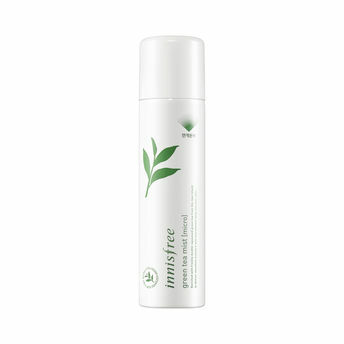 Innisfree Green Tea Mist enriched with organic Jeju Green Tea and Green Tea seeds is a facial mist that instantly hydrates the skin. It instantly provides moisture and soothes skin that has been overly exposed to sunlight. Organic squeezed Jeju green tea is rich in amino acid and minerals. It fills the skin with moisture and forms a moisture barrier to help the skin retain moisture. Use this face mist daily to get hydrated, fresh and rejuvenated skin.